Bal Harbour Condominiums and Condos in Bal Harbour. 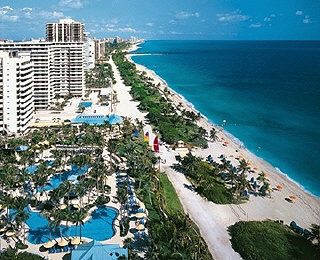 Oceanfront, Beachfront, Oceanview condos, condominiums and penthouse homes in Bal Harbour, Miami Beach. Bal Harbour condos and homes for sale. Bal Harbour luxury homes and real estate includes preconstruction sales. Bal Harbour is one of South Florida's finest oceanfront areas. Bal Harbour attracts people from all over the world, but still has never lost its small-town charm. Bal Harbour is a gem in the Greater Miami Beach area. Uncrowded white sand beaches, beautiful blue ocean and bay, and a peaceful atmosphere combined with numerous world-renowned attractions make Bal Harbor the perfect place to live or a location for your second / vacation home. Without the hustle, bustle and noise of South Beach, but still only a 15 minute drive away, Bal Harbour offers the best of both worlds and much more. The famed Bal Harbour Shops, numerous gourmet restaurants and dozens of nearby championship golf courses add to the array of its unique offerings. Bal Harbour real estate and homes offers great investment potential as well as a one-of-a-kind location to call home or to spend your best vacations. Many who visit or vacation in Bal Harbour fall in love with its charm and decide to stay. There are a number of residential options for those wishing to relocate to Bal Harbour on a seasonal basis, or all year long. 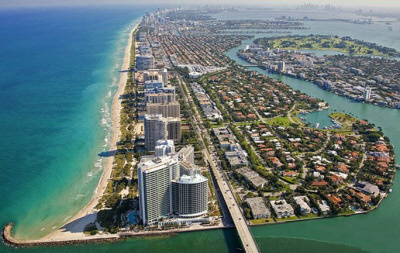 Bal Harbour's nearly one square mile is situated between the Atlantic Ocean on the east, and Biscayne Bay on the west. This waterfront Village is located within equal distance of both Miami and Fort Lauderdale. Located directly on the ocean in Bal Harbour are some of the newest and most luxurious condominiums in the greater Miami Beach area. Real Time listings of residences for sale are shown for all of our featured Bal Harbour condominium properties. A walking and jogging path, which snakes through lush dunes along the length of the beach, is perfect for taking a leisurely stroll while enjoying the warm ocean breezes. Directly across Collins Avenue to the west are low-rise residential buildings and Bal Harbour's single family home neighborhoods. Luxury rentals are also available in a number of our oceanfront and waterfront condominium buildings. If you prefer a single-family home, Bal Harbour offers a number of beautiful neighborhoods with single-family homes that range in price from approx. $1million to over $20 million for waterfront and bayfront luxury estate homes. 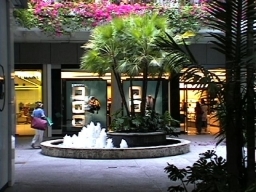 Bal Harbour also includes a secured neighborhood with a manned guardhouse 24 hours a day to screen those seeking entry. A privately operated Yacht Basin is located within the single-family residential community. Bal Harbour single family homes are available on both waterfront and dry lots. The village of Bal Harbour has its own police department which offers excellent protection and service to both residents and visitors. The ratio of officers to residents is very high at approximately 1 officer for every 130 or so residents. Officers patrol in cars, on motorcycles, and by bicycle. Bal Harbour enjoys one of the lowest crime rates in the South Florida area. The main street, Collins Avenue, is lined with coconut palms in the center median and date palms on both sides of the street. At night, the trees are brilliantly illuminated, transforming Bal Harbour into a glittering tropical oasis. experience in Real Estate sales and services in the Greater Miami Beach / Bal Harbour areas. My real estate office is mere minutes from this beautiful area that I have been lucky enough to call home for the last 30 plus years. I am very familiar with the established condominium properties and single family home neighborhoods in the area while also having spent time in each and every new property recently built in Bal Harbour. With the currently under construction Oceana Bal Harbour - Bal Harbour once again is adding a luxury oceanfront condominium property that will become home to those lucky few that will soon call Bal Harbour, home. Allow me, the honor of assisting you in finding your new dream home here in beautiful Bal Harbour or in the surrounding areas". "For all your Bal Harbour Real Estate & Bal Harbour Realty needs"